EuroCircle is always looking for interesting members to feature at the website. 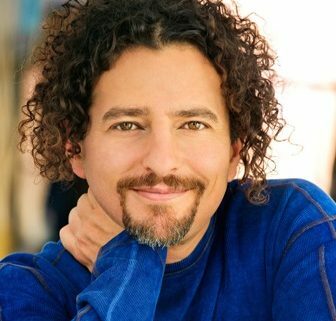 We had the pleasure of interviewing David “Avocado” Wolfe, known for the Nutribullet, Health & Wellness and Motivational Speaking all over the World. If you are in New York please join us next Thursday, June 28th for our Summer Soiree which David is hosting with us. My name is David Avocado Wolfe. I was born on the Jersey Shore and spent much of my first 7 years bouncing back and forth between there, New York City and Tehran. When the Shah was overthrown in 1978, we fled Tehran, and I have never been back. My grandfather worked for the Shah and we weren’t a Muslim family, so we essentially had to escape. In the late 1970s we started visiting Southern California, where my uncle had moved. That had a profound impact on my entire life, as I planted my first avocado tree there in 1978. A few years later, we moved to San Diego, California. I first came to Toronto, which I’ll consider my current city on a trip in 1988 with childhood friends from San Diego who were originally from Ohio, but had a cottage in Ontario, Canada. Next, I came back in 1999 and started hosting events at Super Sprouts in downtown Toronto, right there near Spadina and Queen. And I used to stay right there! Those were the good old days! They say that Toronto was a place that First Nations people never lived. It is a meeting place and that’s part of its intrinsic energy, so the good side of Toronto is that it is a meeting place; a worldwide meeting places of peoples from all over the world. The flip side of that is that the energy of Toronto is transient. It doesn’t seem like the type of place you want to set down long-term roots and they start journeying outside of Toronto looking for cottages. What are your favorite places that someone should go to if they were to visit? I bounce back and forth between Toronto, LA and Hawaii. Those have been my main hubs for 20 years. I love the culture of Toronto. It reminds me of how New York must have been in the 1940s. Then there are always: Peru or Iceland. I’ve traveled to both those countries at least once every two years for the last 20 years. Both sparsely populated with large tracts of wilderness. Where did your nickname “Avocado” come from and how does that incorporate into your life? I have been an avocado grower since 1978. Although I started with typical grafted Haas avocado trees back in California, it has now grown to seedling avocado trees in Hawaii. I have about 40 avocado trees on my farm at the moment. I have excellent avocado hunting skills as was evidenced by numerous escapades in southern California as a teen and young adult growing up there. Everybody has to have a superhero alter-ego. The name Avocado kind of stuck as my name. So I’ve kept it all these years. How did your career in health and wellness start? It was always there in my subconscious, I am pretty sure my entire life. It started around 1975 when I saw Jack Lalanne on The Merv Griffin Show. I knew then what my calling was, but it wasn’t until I was 23 that I finally put it all together and realized that my calling was health science, fresh raw foods, superfoods, superherbs, gardening and yoga. In November of 1994 I hosted my first health event for 100 people, and I never looked back. What’s the best tip in health and wellness that you can share with our members? You have traveled the world speaking in front of audiences about healthy living and wellness. Can you tell us an embarrassing or funny story that happened to you on your travels during one of your speaking engagements? In answering this question, what keeps coming to mind was an event I was doing in Toronto at a health trade show in 2007. There were 300-400 people in the audience. A guy just couldn’t control himself, he jumped up on stage, tried to take the mic away from me in order to start giving his own lecture. It was a bit of mixed martial arts there for a second until security dragged him out of the event. It was hilarious, but also bizarre! If you could meet anyone living or no longer with us, who would it be and why? Rudolf Steiner. I am fascinated by the volume of work he left behind. His teachings are mostly from a spiritual perspective, but have real-world applications that are useful. For example, his Waldorf education system and Biodynamic farming system are some of the most interesting in their categories worldwide. My NoniLand Farm in Hawaii is a certified biodynamic chocolate and vanilla farm because of Rudolf Steiner! It wouldn’t be much different than it is now. My favorite activities include: gardening, horticulture (orchard growing), permaculture (farming), traveling, reading/writing, and water research. I absolutely love what I do. I wouldn’t trade it for anything!